Is There Any Way to Remove Redaction from PDF? Solved! As much as PDF documents have increased in popularity over the last couple of years, they still have one major flaw. And that is the inability to easily edit or redact them. While some individuals may find ways of redacting information using special software, such individuals may also accidentally redact crucial information which they did not wish to redact. As much as they may want to reverse the redaction process, unfortunately, it is impossible to remove redaction from PDF once the redaction done. One should therefore be careful when selecting the information that they wish to redact. 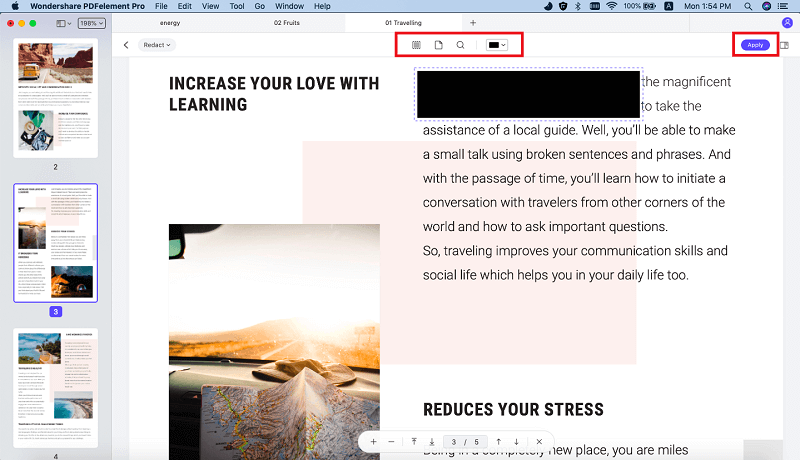 Below we will share more tips about removing redaction from PDF. Of all the PDF redaction software currently available, there is none that comes as close to seamlessly redacting PDF documents as PDFelement ProPDFelement Pro . It makes editing and redacting PDF documents very easy. This software can customize redaction to suit your needs. Such a feature will help one highlight only the information that they wish to redact, thereby minimizing on mistakes. PDFelement Pro for Mac, however, comes with a lot more than just a redaction feature. The software includes a complete editing feature that lets one edit both text and images on a PDF document, a security tool that enhances the documents security using passwords and a PDF converter that easily lets you create PDF from other files such as HTML documents and Excel files. The editing feature lets you edit text fields, links, images and other fields as easy as in a Word processor. You can create PDF files from web pages, images, EPUB and any other form of text. PDF files can also be converted into other formats such as Word, Excel, HTML, rich text and Power Point. 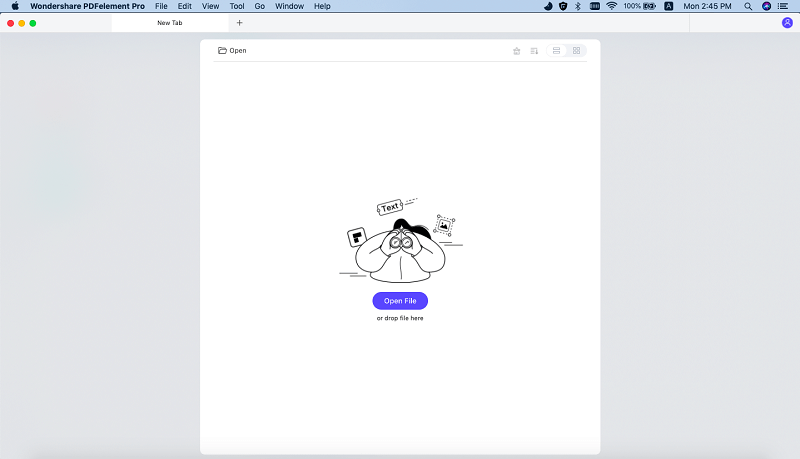 A form creator and filler that lets one easily fill out both interactive and non-interactive PDF forms. Security feature that lets you secure your PDFs with passwords and custom stamps and signatures. Redact PDF feature that lets you permanently remove texts and images from documents. First free download the iSkysoft PDF redaction tool and follow the on screen instruction to set up the program. And then launch the redaction tool. Import PDF by clicking on "Open File", a window will open showing you your computer’s hard drive. Navigate to your PDF file and select it. Click on "Open" to open the file. 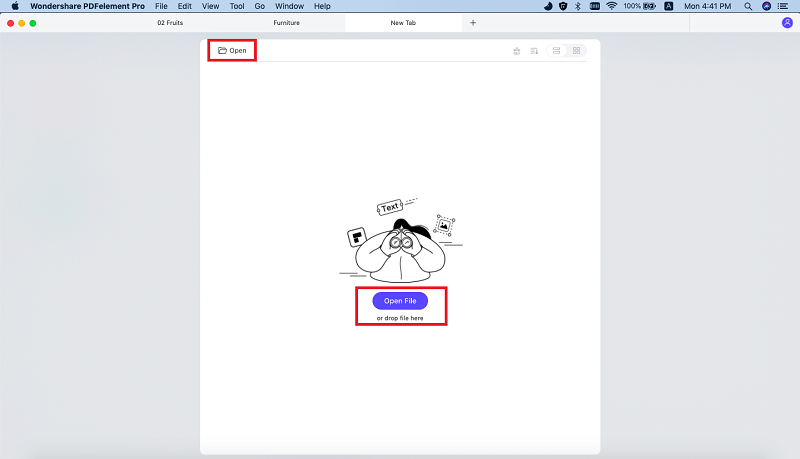 Alternatively, you can drag and drop your PDF file onto the blank area and it will be automatically uploaded. Click on the "Protect" button at the top right corner of the main interface. Select the option "Redact" and select specific texts or pages for redaction. Now select the redaction fields that you want to redact. After making sure that your redaction settings are correct, right click on the redaction field and select "Apply Redaction" from the options to start redaction. A notification window will appear asking you to confirm the redaction. Click on "OK" to begin redaction. This PDF redaction tool will save the redacted PDF as a new file to keep your original file save. However, you cannot remove the redaction from the redacted PDF file.